To quote the press release that comes with this disc, “Many progressive rock lovers were in love with the sounds of the Seventies during their youth, only a few of them know that this music is still alive today ...”. 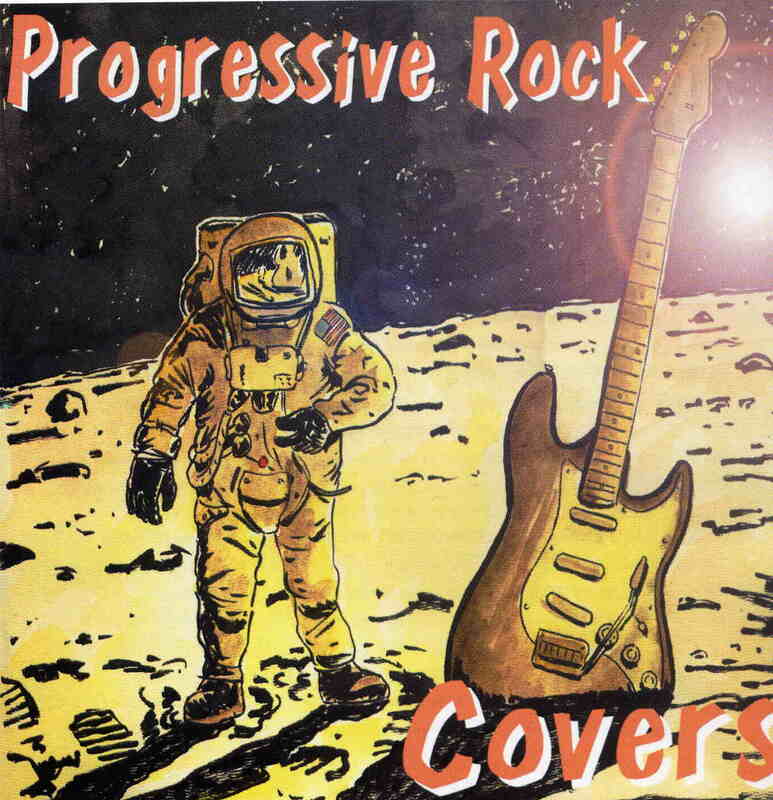 Musea Productions plans to change all that with this almost universally excellent collection of cover versions recorded by 21st Century progressive rock bands from around the world. Some of the tracks and bands covered are definite mainstays of the genre, while other choices seem a little strange; how often would you hear of Led Zeppelin and The Doors lumped in with the prog rock genre? No matter; even such non-progressive material is successfully given a prog rock makeover by the bands involved. The disc starts with a rousing and reasonably faithful version of ELP’s “Toccata” by Japan’s Gerard, before Pangea (USA) let loose with an update and inspired version of Pink Floyd’s “Time”, missing out most of the introduction, but making up for it with lots of high octane guitars. Following on from that is the first of two Led Zeppelin covers, perhaps an odd choice for a prog rock-themed album. American band Blue Shift tackle “The Immigrant Song” and even find space to quote Keith Emerson in the closing Hammond solo. Then it is back to Japan with Ars Nova doing a cover of Trance’s “Birds Medley”, originally written by JS Bach, and following the progressive tradition of rocking up the classics. London Underground (from Italy, despite the name) deliver a Hammond-heavy version of Manfred Mann Chapter Three’s “Travelling Lady” with nicely distorted vocals interspersed with cool sax breaks. Fellow Italians Twenty-Four Hours tackle Van Der Graaf’s “Darkness - 11/11” with guitar and funky bass giving a new slant on Peter Hammill’s dark vision. Quidam (from Poland) serve up a restrained version of Deep Purple’s “Child In Time”, the vocalist giving a female take on the Ian Gillan screams. Equally laid back is Halloween’s version of VDGG’s “House With No Door”, featuring just female vocals with piano accompaniment. Now (Belgium) bring an interesting version of Led Zeppelin’s “Kashmir” (perhaps one of LZ’s more progressive moments) that almost doubles the length of the original. Clocking in at 14 minutes, it is also the longest track on the album, and goes off into outer space with a jazz-influenced guitar solo halfway through, before breaking into an a cappella version of the main riff. Spain’s Dificil Equilibrio do a spacey, if brief, version of Gong’s “Dynamite”, and Visible Wind (Canada) give a heavy psychedelic take on The Doors’ “Strange Days”. The album closes with a really ripping version of King Crimson’s “Exiles” by France’s Theirry Crusem & L’Autre System, blown up to epic proportions. It is interesting to note that, with the exception of the King Crimson cover, none of these tracks were recorded especially for this compilation, and that all of the bands featured have released discs in their own right. Given the high quality of the covers, a good sequel might be a second compilation, this time of the artists submitting original material. That would be an excellent way to keep the progressive rock flag flying high in the somewhat uninspired music scene of the 21st Century.